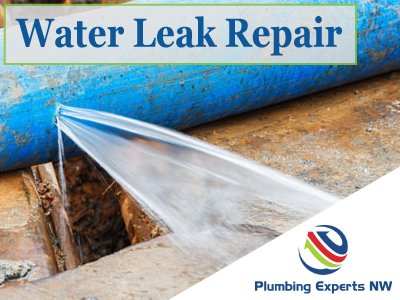 Emergency Leak Repair - Call 24/7! Do YOU have a possible water leak? These can happen in your wall (with unpleasant water spots or water pooling in your wall or ceiling), or in the ground (with water pooling in your yard). You want a plumber who will take charge, find the leak source and fix it fast. Plumbing Experts NW is always an excellent answer for your water leaks in Marysville WA. We're ready to get to you quickly, diagnose, and get your water leak repaired as quickly and painlessly as possible. Sometimes your leak issue is more of an isolated problem and requires only a pipe section or a fitting to be replaced, but other times it might be found that there is overall corrosion of the piping system within the home. That may require a whole home re-pipe, but whatever the situation requires, our technicians will make sure to explain your options and provide up-front pricing for the most efficient repairs. For Plumbing Repair in Marysville WA, you need a company you can call 24/7, that's Plumbing Experts NW. Water Leaks Repair or any Leaky Pipes or Leaking Water Lines in Marysville WA areas. Call a Professional! With Sewer Line Issues you need a real look at what's going on. A sewer scope or sewer camera inspection helps you do just that. Don't go on with a leaky water heater or no hot water. These issues can be diagnosed fast and fixed fast. Just call us! Any clogged drain in or around your home, call us, Plumbing Experts NW can help you get unclogged. Expert sewer clearing in Marysville, plus sewer repairs and sewer replacements when necessary. We are Sewer Specialists.